Magento, Shopify, and WooCommerce power the majority of all top 100,000 eCommerce websites, and the majority of all eCommerce sites on the Internet. WooCommerce has millions of active websites, Shopify has surpassed 500,000 customers, and Magento has consistently had 250,000+ websites for a long time now. Many companies have either been on one of these platforms or are considering these platforms for their eCommerce website and business. This infographic is designed to give you some high-level information about the three platforms to help in your decision making. User Base: Shopify now has over 500,000 users, a massive increase from a few years ago. Magento has stagnated a bit at a total of 250,000 or so for a few years now because their platform has more of an enterprise focus and less of a universal SMB focus. WooCommerce has grown the most to millions of users, mostly because it is so easy to spin up a cheap WordPress / WooComerce site. What’s critical to note here, though, is that of this user base is very different for the top sites. Magento holds the largest number of top 10,000 sites, followed by WooCommerce, and then Shopify. Magento: Magento is pushing forward full-steam with their new Magento 2 platform. They now have both cloud and an on-premise enterprise solution as well as their widely used open source version. Magento is still by far the most powerful solution of the 3 here and is best for complex B2B or international websites. Shopify: Shopify is the leading SaaS eCommerce platform with a massive user base. They stock has exploded in the past few years and they continue to grow their leadership position. Shopify is great for business to consumer eCommerce and is starting to generate more and more interest from larger brands. The ease of use of SaaS makes it the most cost-effective option in most cases. WooCommerce: WooCommerce is really just a plugin to WordPress, so in a sense, it is not really its own platform but just an add-on. WordPress has become the go-to CMS around the world, making WooCommerce the most convenient eCommerce platform because it can simply be added to any normal WordPress site. WooCommerce is great for businesses that have light eCommerce and heavy content needs. Leading Brands: All of the platforms boast some large brands, however, they rarely power the main flagship brand website. They are often used to power separate stores or other parts of a website for some of the leading brands listed. Magento is used by a larger number of eCommerce flagship sites, powering the most top IR and B2B sites of the three platforms. Generated Revenue: Magento definitely leads this number, but Shopify is quickly growing here. Its possible WooCommerce is higher than we think here but it’s not documented anywhere. Most WooCommerce sites are smaller so its hard to envision this number higher than Shopify and Magento. Advantages: Each platform has many advantages. WooCommerce has the benefit of being part of WordPress, the most used CMS and platform in the world. Magento has the most eCommerce functionality out of the box of all platforms. Shopify is far ahead of the other platforms for ease of use for an eCommerce platform and has no maintenance costs being a SaaS platform. Disadvantages: Magento is a complicated platform that can require a hefty development budget to execute properly. This can lead to the platform being more costly than many companies expect. Shopify is a SaaS platform that requires paid monthly apps and is also limiting in terms of core functionality. You may run out of things it can do and have to customize it which can get really costly because you will need to build a custom independent app in this case. WooCommerce is limited in that it’s just a plugin to WordPress and not an eCommerce first platform, making it very weak for scaling to a large number of sales and complexity. Platform Versions: Shopify is a Software as a service with multiple tiers and a Shopify Plus enterprise version. Magento is an open source platform that has both a platform as a service hosted version and an on-premise platform. WooCommerce just has one free version with many add-on plugins that you can use. Strongest Industries: Shopify has become strong in the retail and high-end consumer industries like Jewelry, accessories, etc… Magento is strong in Fashion, B2B, auto parts, and food & beverage. WooCommerce does well with publishers and companies that require a lot of content but a little eCommerce. Life Sciences also does well with WooCommerce because of their content heavy focus. Theming: Theming is often one of the largest costs of any implementation of an eCommerce platform. All three platforms have many themes available. Shopify does a good job of maintaining and vetting themes through their app store. WooCommerce has the most theme options, followed by Magento and then Shopify. A number of themes, however, doesn’t really matter, the quality of the themes is much more important. Rankings: Shopify is certainly the easiest platform to learn and get used to because you don’t need to host it or deal with maintenance like updating plugins etc. It also has great support an ecosystem of easy to install apps. Magento is the hardest to use but also has the most flexibility and built-in functionality. 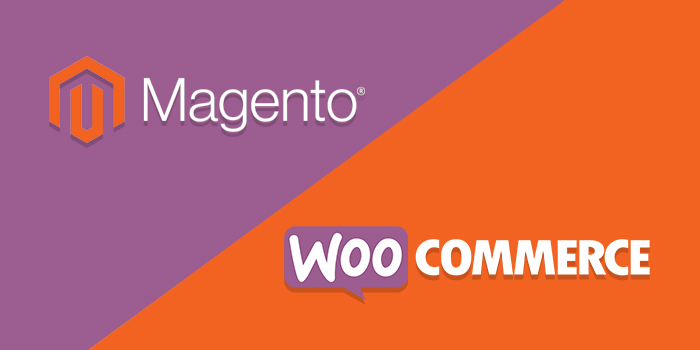 WooCommerce is somewhere in the middle between the complexity of Magento and Shopify. Love your blog, was a great read – but thought I’d comment on my experience of using all three platforms. TL;DR – Avoid Magento 2, unless you like spending ££ on specialist developers. Shopify is very user friendly, and you can dig into the liquid files and amend HTML with relative ease. Plugins so far have all proven very stable. WooCommerce is the same, so long as you stick to officially supported plugins, and run back ups before updating, you’ll see very few problems (they’ve also massively improved scalability of the platform now, I’m easily seeing sub 1 second load times uncached on cheap dedicated VPS hosts). Only issue I’ve come across with WooCommerce was autoload data and cron jobs flooding the table, but this was a very simple 5 minute fix (try restoring deleted products from a Magento back up – you’ll need expert developers, and even then it’s not a guarantee it’ll work once restored). I could go on, but will leave it there! I agree with some of your sentiments but I also think that Shopify and WooCommerce have serious limitations when you have complex business requirements. If you have good development talent and a team like Trellis to help you Magento 2 can be very powerful. We just launched store.trellis.co in a very short period of time. The problem is you need very good developers to use Magento 2, without them you will be out of luck. We have seen a lot of success with people migrating to Shopify but we have seen some failures in which their business requirements are just too complex for a platform that is so closed down and limited in terms of out of the box functionality. Yes overall this is true. The tradeoff is that sometimes it can be very difficult if not impossible to do certain custom things that you cannot find via an app or the core functionality. We have built custom apps but thats get fairly expensive to the point where Magento might actually be cheaper if you need a lot of that kind of functionality. Shopify can be best for you when you don’t need to be responsible for the technical upkeep of your shop. If you’re on the lookout for the quickest method to get on-line, Shopify is the most suitable choice for you. It’s fairly actually a one-stop-shop to your ecommerce wants. However, when you’ve got a WordPress web site and some coding skill, WooCommerce may be a more suitable choice. Yes I agree for simple use cases. However when you get into larger scale eCommerce and more complex business models Magento is often a better fit. Nicole is the Multimedia Marketing Designer here at Trellis. 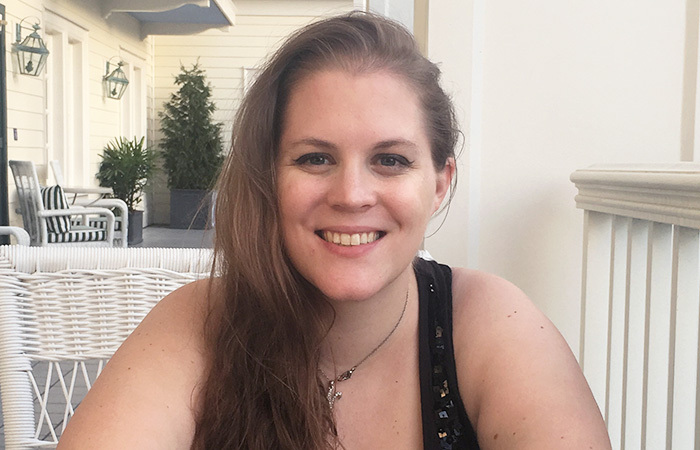 With a Bachelors of Science in Graphic Design and an Inbound Marketing Certification from HubSpot, Nicole is a major asset to the Trellis team. She is mastering inbound marketing and design in order to make Trellis and our clients stand out from the crowd.